Interests: Music (Metal and Post Rock mostly), Photography, Life, Gaming, Film, TV, Anime, and Nippon! Hello! Alan Gurling here. I use the online handle Opethian all over the web and the internet. 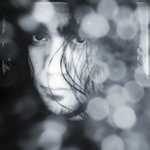 I am a technology enthusiast, metalhead, aspiring photographer, father and husband. I'm a fan of The Venus Project / The Zeitgeist Movement. Check out this "dust blower"
Adobe launching Creative Cloud $10 for Photographers! The K5 holds its ground! What hosting/backend service provider is running these sites? New Pentax FF ..image released on PhotoRumors? Tudor Times at Kentwell -- 1996 MZ-5 all FILM !